Now in its 19th year, Teach Children to Save Day features hundreds of banker volunteers teaching thousands of students in public, private, and parochial elementary schools throughout Delaware! Lessons stress the importance of personal saving for future financial independence. The DFEA also creates unique children books in the Great Investo series for Teach Children to Save Day. Visit our Teach Children to Save Day page for more information on this great annual event! Keys to Financial Success is a full-semester elective taught in 28 high schools throughout Delaware to over 4,500 students. The course was developed in partnership with the University of Delaware’s Center for Economic Education and Entrepreneurship (CEEE), Delaware Bankers Association, Federal Reserve Bank of Philadelphia, and Consumer Credit Counseling Service of Maryland and Delaware. Keys to Financial Success introduces students to the fundamentals of sound money management skills and basic financial planning concepts. The Delaware Bankers Association awards two annual Keys to Financial Success scholarships. 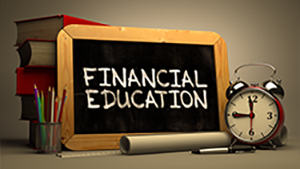 All students enrolled in the Keys to Financial Success elective are elligible to apply. Scholarships are awarded on the basis of an essay on the importance of financial literacy education. Interested students should ask their Keys classroom instructor for essay and scholarship details. The DBA and the Delaware Financial Education Alliance (DFEA) provides valuable professional development services for its members. Through committees, telephone and web seminars, professional development forums, on-line courses, and other venues, we offer the latest in training for banking professionals on every level of the industry. The DFEA also sponosors its own Regulatory Compliance as well as the annual Delaware Trust Conference on issues unique to the State’s trust laws. A new partnership between Wilmington University and the DBA invites provides an incentive for employees of DBA Members and Associate Members to participate in college-level classes and degree programs at any of Wilmington University's campuses or online. The agreement, effective as of the 2018-19 academic year, enables DBA-affiliated employers to create new or customized educational programs for their employees through WilmU. The employees will be eligible to apply to WilmU's degree and certificate programs for free and to receive a 10% tuition discount. They're also able to take advantage of WilmU's Credit for Prior Learning transfer program and its many Work Integrated Learning opportunities. Visit www.wilmu.edu/partnerships/debankers/ for more information. ABA Briefings - ABA Briefings enable you and your team members to stay on top of the current issues facing bankers today. Take advantage of the Briefings available in several subject areas. Briefings include streaming audio over the Internet so all you need is a computer and a pad of paper. Save time and stay current. ABA Faciliated Online Training - Bankers can participate in ABA online courses in a collaborative learning community, complete with fellow students, instructor guidance and feedback. ABA Self-Pace Online Training - ABA offers more than 200 self-paced online courses in the content areas listed below. Courses may be purchased online for individual use or banks may purchase a license to access a single course or a suite of courses within their organizations. These courses offer a high degree of bank-specific scenarios, skill-building and practical application. 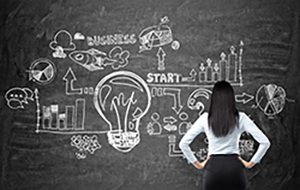 ABA Certificate Programs - For more than 100 years, bankers have taken advantage of these certificate programs to prepare for careers in banking or to enhance the skills and knowledge they already possess. Certificates build the skills necessary for a specific position in the bank and can be taken entirely online as a certificate curriculum. The programs are continually reevaluated and refined to reflect the current needs of bankers in their jobs today and changes in the industry. Delaware Bankers Association members can take advantage of discounts to area colleges and universities. We also can help tailor specific training to individuals and groups either from the American Bankers Association catalog or sessions to fit your unique needs. Contact Renee Rau at 302-674-0202 or via email renee.rau@debankers.com for a consultation on your training needs or for information on college tuition reimbursement programs. The Delaware Bankers Association and Compliance Education Institute are pleased to offer on-line courses in Vendor Mangement. Vendor Management has been under the regulatory magnifying glass for several years and is only growing in importance with the advent of increased outsourcing, cloud computing and additional regulatory focus. A cohesive centralized program is more of an exception rather than the rule and each institution seems to have its own interpretation of what a compliant vendor management program should look like. If you're tired of being told to "Read Guidance" these programs are what you're looking for. Please follow the link below to view the full range of vendor management courses from Compliance Education Institute.